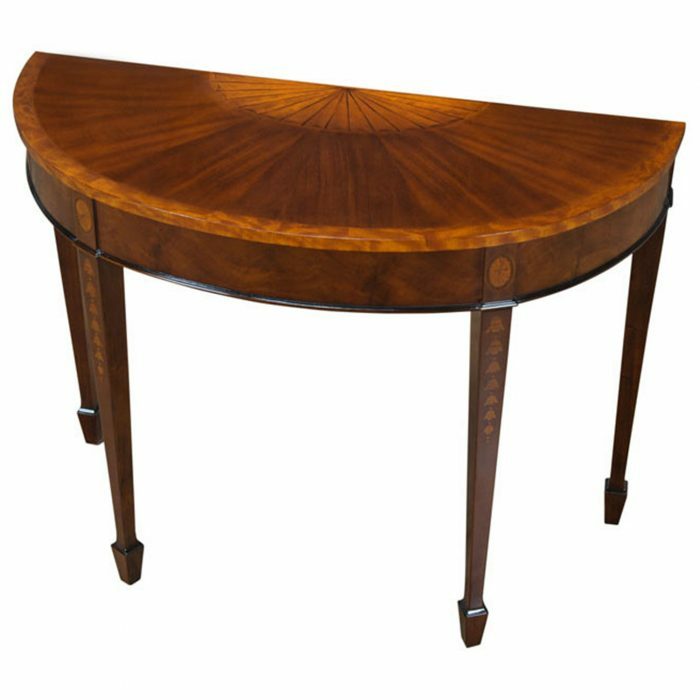 A great value this high quality Duncan Phyfe Console has made the Niagara Furniture top sellers list for years. 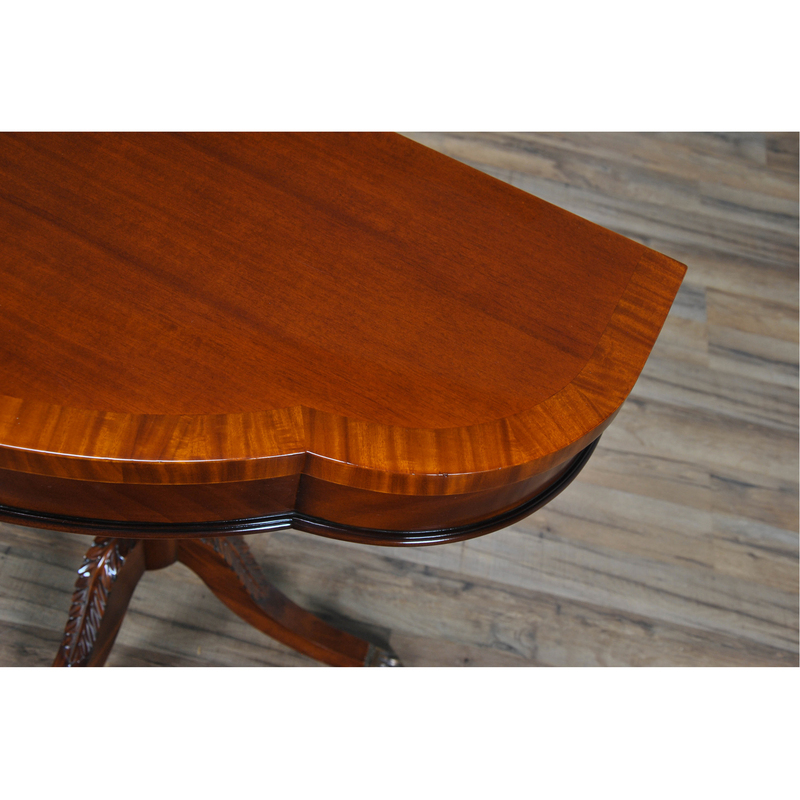 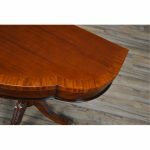 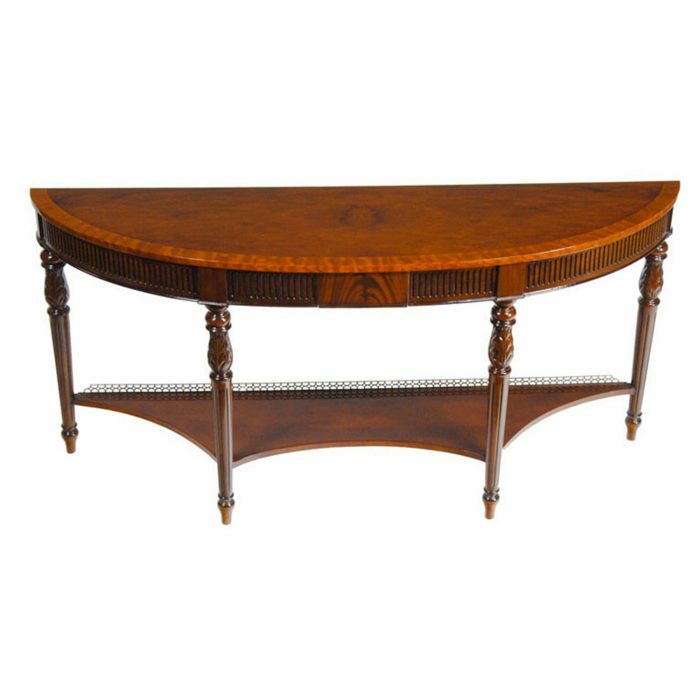 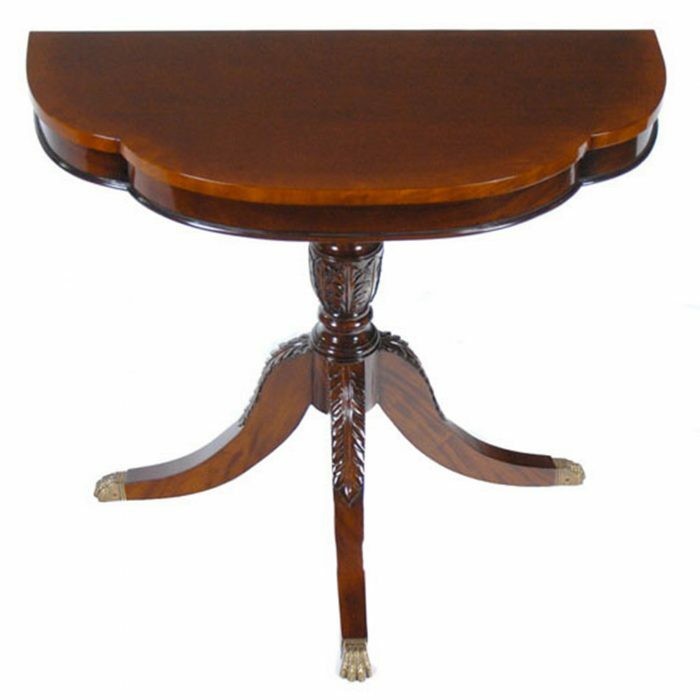 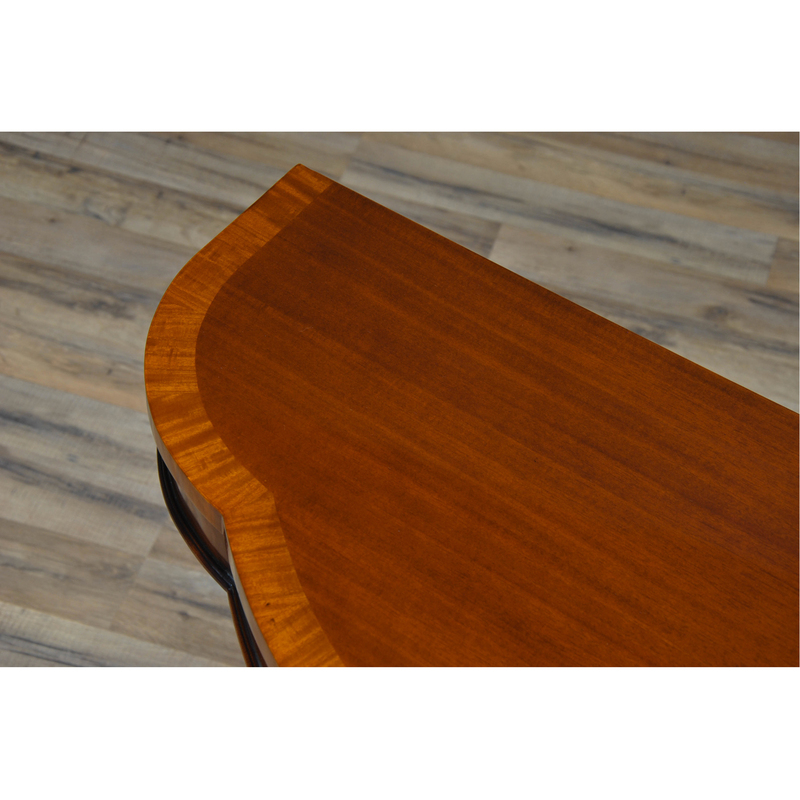 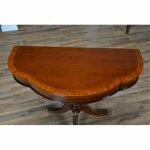 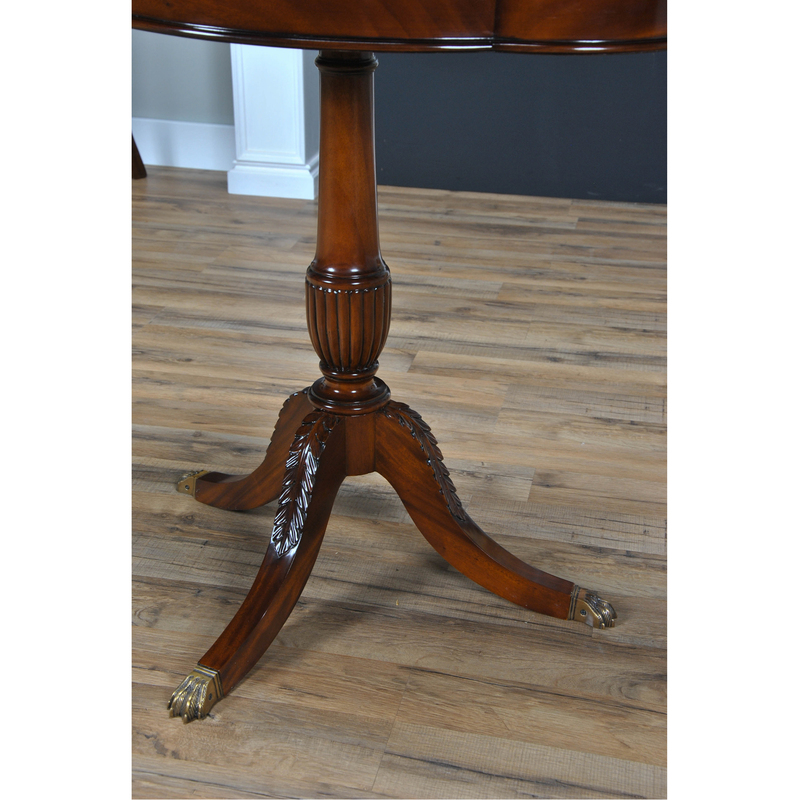 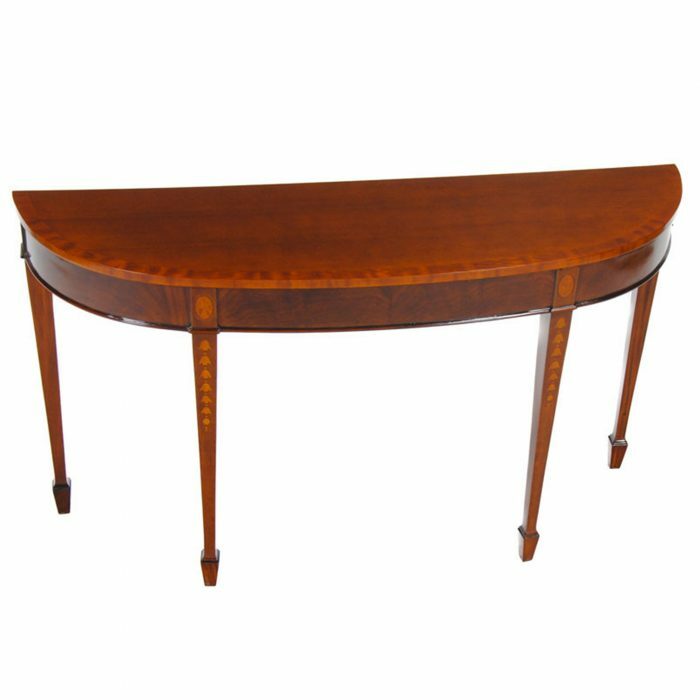 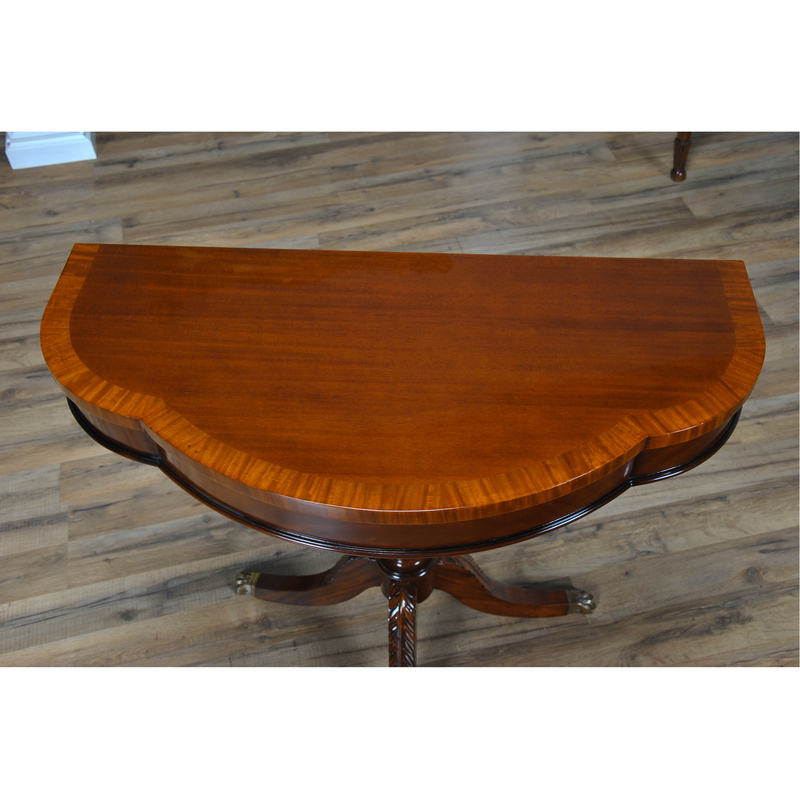 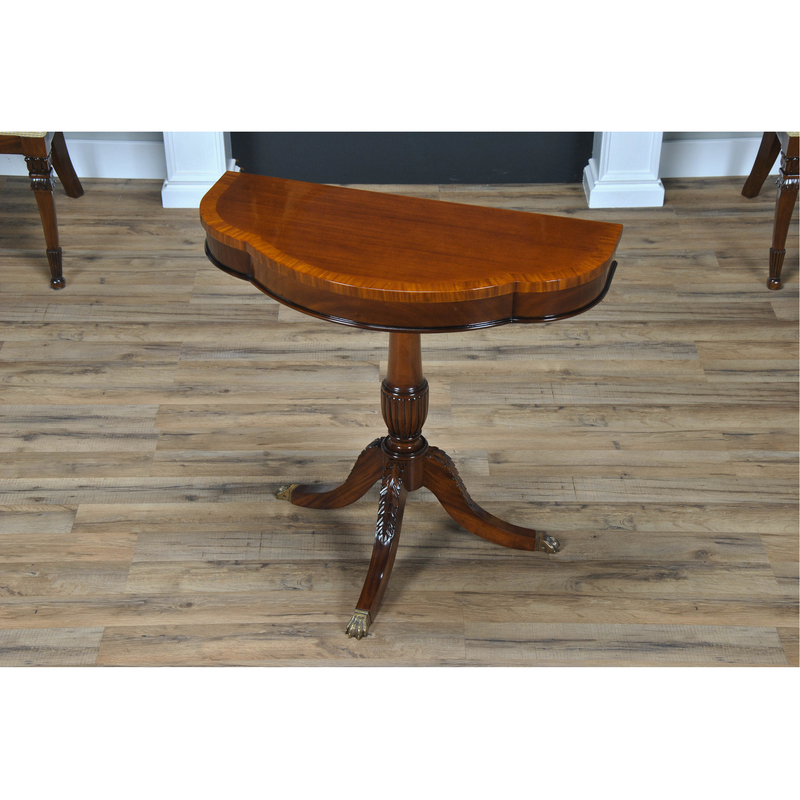 Based on an antique design our reproduction console features a shaped mahogany top with satinwood banding is fastened on a central column with three hand carved legs sweeping out towards the brass capped feet. 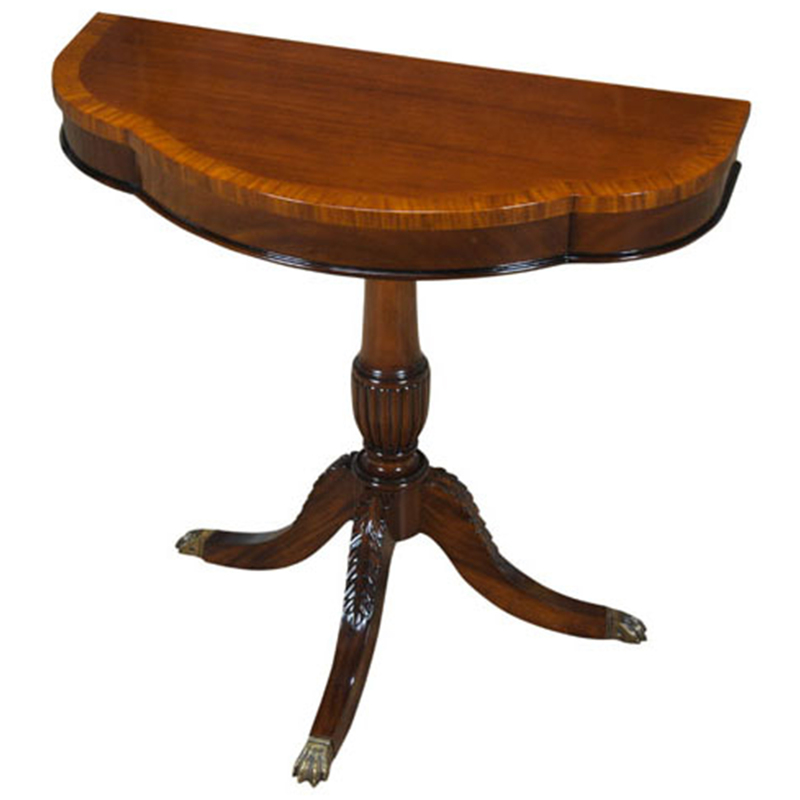 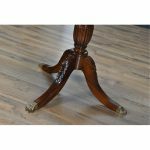 Hand carved solid mahogany base and legs.